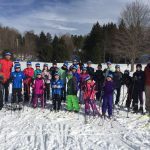 Rochester Youth Ski Festival is scheduled for January 12-13,2019. This is a fun event for the entire family, early festival will keep the kids skiing and excited for the season! Ski Like an American is the theme! Discounted Bristol trail pass can be pre-ordered with registration ($10 per day, vs. $12/day purchased on-site). Children age 7 and younger ski free with a paying adult. Non-NYSSRA/NENSA members are required to purchase an event license for $5 (select during registration). The Saturday banquet/awards party is included for skiers registered in the Festival / Banquet category. There will be a video slideshow highlighting the day’s events, and more fun – you won’t want to miss it! The deadline for banquet registrations and additional tickets is January 7 at 8:00 pm (to get a head count to the caterer – you may still register for festival ski events after that). Additional dinners and trail passes for family/friends can be purchased via Event Items (select these along with the registration category when you register a skier, or click the appropriate boxes and quantities and hit “Register…” to buy these independent of registering a kid). Racing or Tour de Ski? The Tour de Ski is an adventure that will take you around the trails with challenges and fun along the way. If you’re excited for a fun festival but would rather not race, the Tour is for you! Non-racers will be the Tour starts, and racers will join the Tour as supporting cast. When signing up, choose the approriate age/gender “U” class if you’d like to race, and the Tour de Ski option if you’re not going to race. If you’re not sure about racing, sign up for the “U” class, so that a bib number and start position will be reserved for you. You can always opt out of racing and star in the Tour de Ski, but we cannot add additional racers after registration is closed. 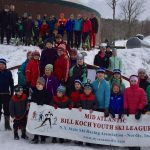 U16 skiers (born in 2002 or 2003) are welcome to participate, and will race with the U14 skiers but will be scored separately. Mid-Atlantic Bill Koch Festival March 3rd-4th Hotel information!